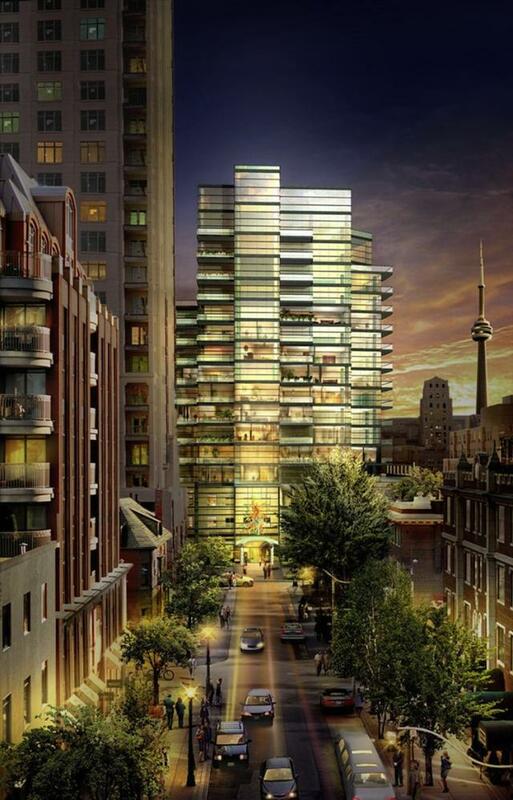 Seventy Seven Charles is one of Toronto’s most prestigious and sophisticated new condos. With Louvre-inspired design, it consists of a luminous floor-to-ceiling glass tower stemming from a base of granite and limestone. This 13-storey boutique condo features innovative design by renowned HOK architects. The building offers 50 suites ranging from 1 to 3 bedrooms, with or without den, with individual suite layouts created by Powell & Bonnell interior designers. Located in Yorkville, Seventy Seven Charles is at the heart of one of Toronto’s most exclusive and culturally-rich neighbourhoods. At Seventy Seven Charles, you will be just minutes away from the historic campus of the University of Toronto, the RoyalOntarioMuseum, the GardinerMuseum and the Royal Conservatory of Music. Also nearby is the “Mink Mile” located on Bloor Street, which offers some of the most exclusive shopping in the city with designer stores such as Gucci, Hermes, Louis Vuitton and Burberry. Conveniently located near Bloor/Yonge and Bay stations, you will have easy access to the rest of the city. Seventy Seven Charles is Yorkville living at its best. This luxurious condo is a fantastic addition to the Yorkville community!